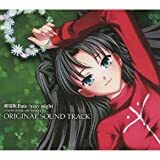 Fate/stay night[Realta Nua] PS Vita版!!! 劇場版Fate/stay night Unlimited Blade Works!! !